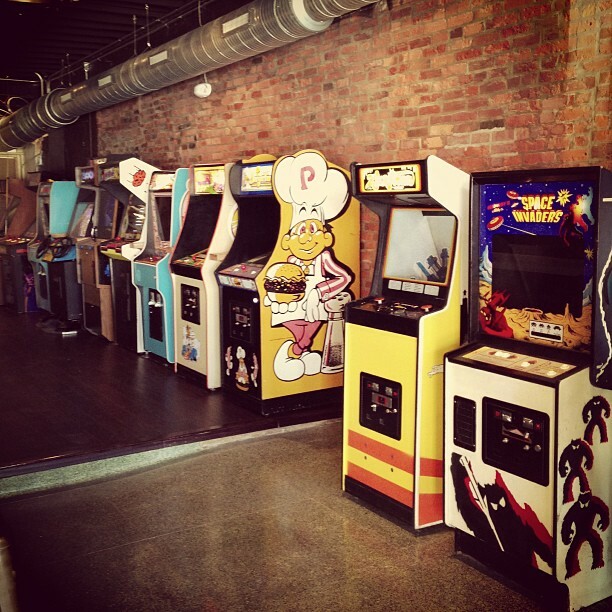 Let’s keep the arcade location openings coming shall we? Once or twice a month is nice when that happens but with this post that will make three new locations opening their doors in August, that we know of. The other was discussed in this story yesterday. For the first of the two, here is good news if you live in or near Columbus, OH. 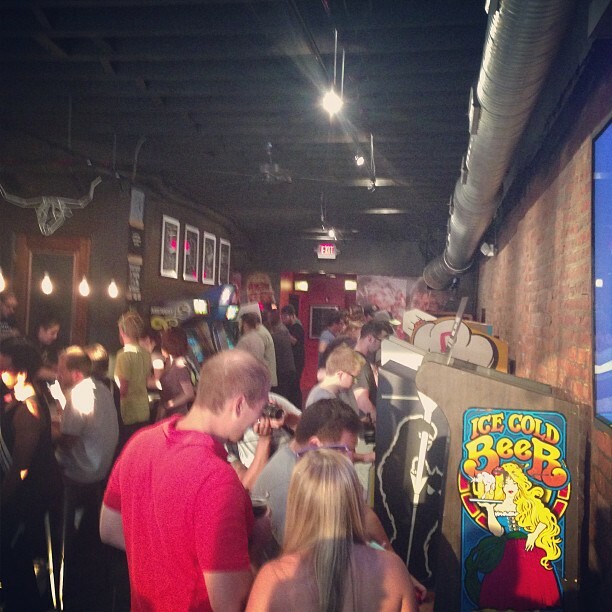 A new barcade opened its doors yesterday on Aug. 30th by the name of 16-Bit Bar+Arcade. In addition to serving adult beverages they have a selection of 42 classic arcade titles to play including 80s fare: Asteroids, Centipede, Zaxxon, TRON, Mr., Ms. & Baby Pac-Man, Popeye, Donkey Kong, Elevator Action, Double Dragon, Rampage and more; 90s goodness with titles like Street Fighter II, Lethal Enforcers, Mortal Kombat, NBA Jam, Quick & Crash and even Slick Shot. So far it looks like they have done some great marketing, managing to get over 7000 Facebook fans and 500+ Twitter followers in the run-up to the Grand Opening. Judging from some of their pictures on Facebook, they have been able to pack the players in, we wish them the best of luck in keeping it that way. Here is their main website. I love pinball so hearing that my hometown is getting a pinball museum is awesome! I’ll go check it out now, thanks!